Please speak with your local law enforcement liaison about getting signs for your neighborhood watch group. 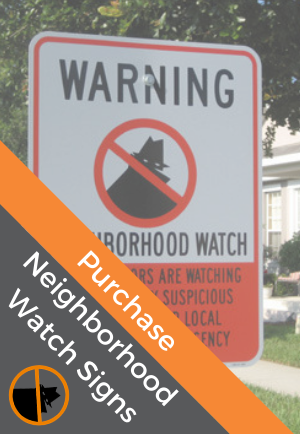 Additionally, the National Neighborhood Watch Institute has signs for purchase; they are the only NNW-approved vendor for these signs. You can view their sign selection here. You can contact NNWI via phone at 888.669.4872.